Wishing you a day filled with goodness and warmth. Wishing you happiness, today and forever. Happy Women’s Day! 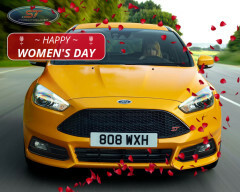 From Ford Focus ST Club Team to All Women!